Did you know that between the years of 2000 and 2030 about 27 percent of existing buildings will be replaced? Most of the building materials and debris will end up in our landfills, adding to a growing problem of pollution. Obviously, contributing to landfills is not a good thing. Landfills emit gases, such as methane, which is not only highly flammable, but it’s also bad for your health. When inhaled, methane can cause cardiovascular problems. Landfills also leak polluted water, take up valuable space and contaminate nearby areas. One of the best materials to use in construction is aluminum. Aluminum is 100 percent recyclable. 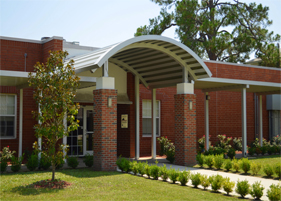 When a building structure is constructed with aluminum, it can be torn down and reused to build yet another structure. This is called Lifecycle Building. 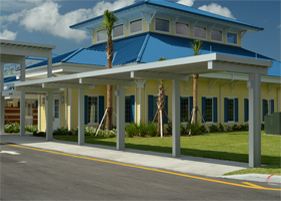 Lifestyle Building encourages constructing buildings that provide resources for future buildings. Reusing building components reduces the energy and greenhouse gases emissions associated with producing and transporting building materials. 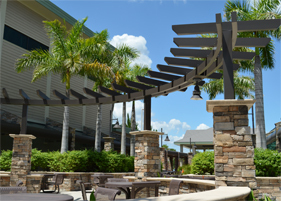 Perfection Architectural Systems are made of 99 percent aluminum extruded material, which is fully reusable and recyclable. We only use qualified vendors with documented recycling policies and material content. Our material orders are carefully measured and analyzed to ensure we use the proper amount so that there is very minimal waste, and all of our scrap materials are sent to recycling processing plants so they can be converted back into useable materials, eliminating the need for landfills. 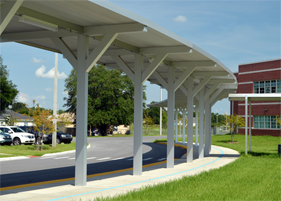 At Perfection Architectural Systems, we are committed to the future of our planet for our families and children. All of our employees are eager to participate in energy conservation, green building, recycling and community volunteering. We encourage you to do the same. 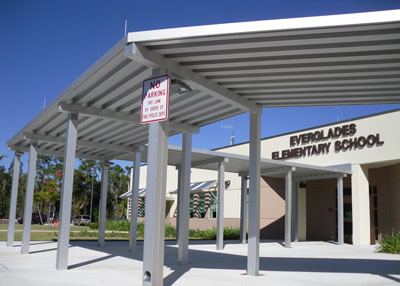 If you have any questions regarding our materials or walkway covers, the Leadership in Energy and Environmental Design (LEED) Green Building Rating System or our reuse and recycling tactics, please call us at (407) 671-6225.